Chabasse VS de Luxe Cognac is a young blend that can be enjoyed in a mixer, on the rocks or sipped neat. A harmonious creation of the differents components of a variety of terroirs, Chabasse is an artisan house with a global depth; indeed, their cognacs are renowned and enjoyed the world over. 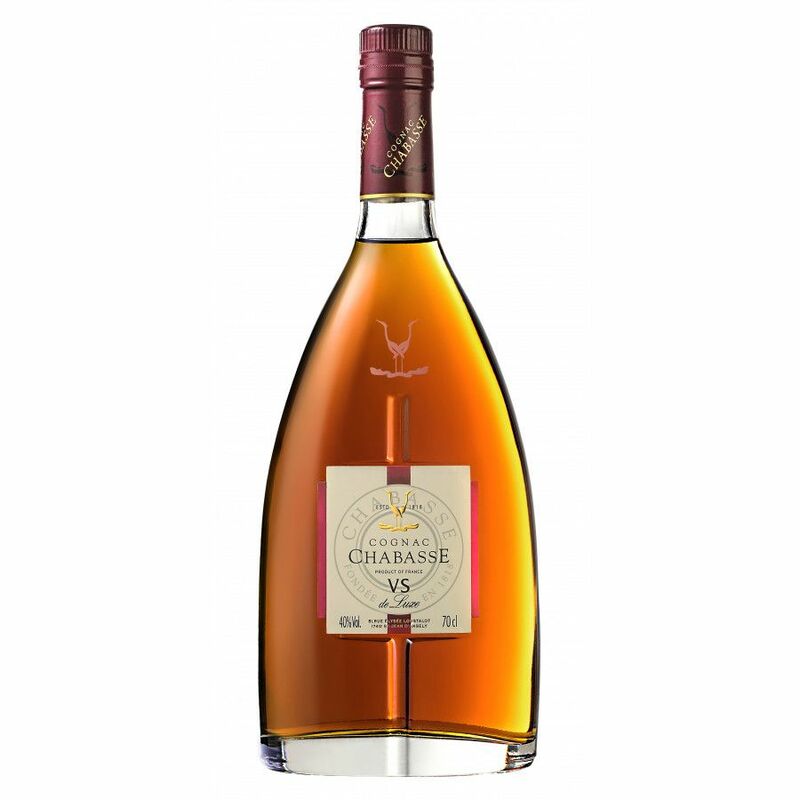 In the depths of Saint-Jean d’Angely lies the historic 17th century cognac estate of Chabasse. This family run business today lies in the capable hands of Réné-Luc Chabasse, the ancestor of the founder of the family estate, Jean-Baptiste Chabasse. Chabasse Cognac is enjoyed around the globe, and today the house enjoys making the most of both the traditional and the contemporary – something that is portrayed in the striking shapes and designs of the bottles the cognacs are presented in. The fusion of younger and older cognacs gives Courvoisier ® VS a fruity, delicate taste and a bouquet filled with ripe fruit and spring flowers.